If you have very dry hair and find that it is best behaved on the day of oiling-washing and conditioning it, then what your hair needs is a moisture boost every single day. While oiling the hair is an option to overcome dryness, oil tends to weigh down the hair and make it appear limp. You would need to shampoo it off every single morning after overnight oiling. Since this is not feasible everyday, what you could try is a hair serum. A Hair serum has concentrated moisture, is light on the hair and gives your hair all the nutrients it needs to shine through. There are a number of hair serums available that will nourish your hair, prevent hair fall, smooth hair and strengthen it. Today we take a look at the best hair serums for dry hair. The L’Oreal Paris Smooth Intense Hair Serum is especially made for unmanageable and dry hair. It comes enriched with Argan Oil which helps in transforming unruly hair to smooth and manageable hair. The Serum is light on the hair. Its silk proteins help in strengthening the hair shaft. It can be used on wet or dry hair. It is priced at Rs. 240 for 100 ml. The Matrix Biolage Deep Smoothing Serum comes with avocado oil, grapeseed oil and taming polymers. On applying the serum, its ingredients help in smoothing out the frizz and getting rid of dryness in the hair. It seals in moisture into the hair shaft without making it oily. As a result, the hair is manageable, shiny and also lush all through the day. It is priced at Rs. 260 for 100 ml. 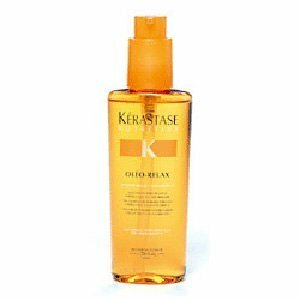 The Kerastase Nutritive Oleo Relax Serum is a smoothing serum especially made for dry and unmanageable hair. 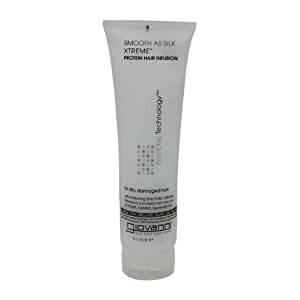 It has a smoothing formula that helps in making your hair easy to manage while also adding incredible shine to it. It is formulated with the Nutri-Huile complex that works towards nourishing dry and frizzy hair. It is to be applied on damp towel dried hair from the mid length to the ends. It is priced at Rs. 1800 for 125 ml. The Dove Nourishing Oil Care Serum gives you the benefits of oiling your hair without the associated oiliness. The serum comes enriched with sunflower, almond and coconut oil which help in overcoming the dryness in your hair. The serum gets absorbed into the hair easily and reinforces the strength and shine in your hair. You can use it on wet or dry hair. Everyday use guarantees prevention of dry hair. It is priced at Rs. 300 for 40 ml. The Giovanni Smooth as Silk Xtreme Protein Hair Infusion is an organic serum that is meant for dry and damaged hair. It contains lemon, orange and grapefruit peels, pomegranate, olive oil, jojoba oil, soy protein and shea butter. It is also enriched with macadamia seed oil and aloe vera. The Giovanni Hair serum moisturizes your hair and helps in detangling it. It rejuvenates the hair health on regular use. It is priced at Rs. 595 for 150 ml.